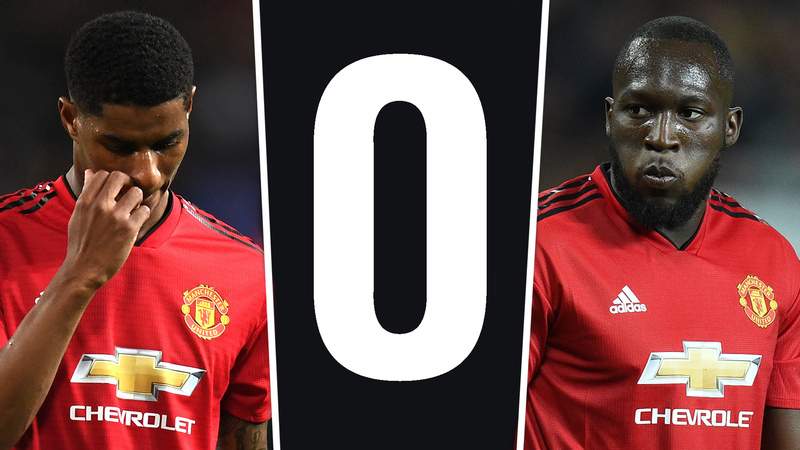 Zero times, zero times Man Utd: Where have the old, ruthless Reds gone? In Turin on Wednesday night Manchester United summoned up one of their ancient guises: the late Champions League comeback. The 2-1 win against Juventus was their first European turnaround in the final five minutes since the 1999 final and fits nicely alongside other memorable victory-from-the-jaws-of-defeat games in 2018 against the likes of Manchester City, Newcastle and Bournemouth. United’s next target, then, is surely to cast off the shackles completely and bring back the concept of free-scoring. Once a team who would brush off Ipswich 9-0, or shatter Nottingham Forest at their own ground with eight goals, Manchester United have now gone five-and-a-half years without scoring five or more in a Premier League game. In that period Manchester City have done it 21 times, with Liverpool second on 12. Sergio Aguero, by himself, has done it more recently than United have, scoring five goals in 20 minutes of play against Newcastle in 2015. In the 1990s (incidentally, the first team to score five in a Premier League fixture were Oldham Athletic in a 5-3 win against Brian Clough’s suddenly suspect Nottingham Forest), Manchester United led the five-goal spree charts with 16 instances, four more than any other side. The period from the turn of the century to Sir Alex Ferguson’s final game – aptly enough, the only 5-5 draw in Premier League history – saw United and Arsenal level on 28 each. Now the standard response to pointing out this curiously long run of games without scoring five plus goals is to be asked to check the number of trophies said club have won in the same period compared to certain other rivals – ‘Twenty times, twenty times Man United’ as the United fans sing. The other response is to be asked to check whether league tables are decided on points or goals. Correct answer: it can be either. And it’s true, bashing in five goals is a nice-to-have rather than a necessity, but even so, the list of teams to win the English title without scoring five or more in any of their games is a short one of 13 sides, four of them in the Premier League era. The headlines from the list that have done it without the magic five or more are from the Edwardian period of dour champions between 1902 and 1904 as well as Clough, twice, with two different clubs (Derby in 1972 and Nottingham Forest in 1978). Chelsea, in 2005, and Leicester City’s quite remarkable title success of 2016 are also on there, as are Arsenal’s 2001-02 champions. Arsene Wenger’s side achieved the extremely rare feat of scoring in every single match that season, yet they didn’t score more than four in any of them. Now that is how to spread out your goals in a satisfying manner.